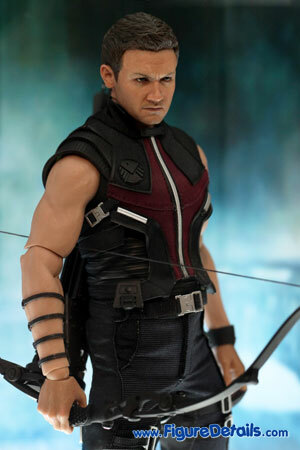 - Fully realized action figure likeness of Jeremy Renner as Hawkeye /Clint Barton in The Avengers movie. 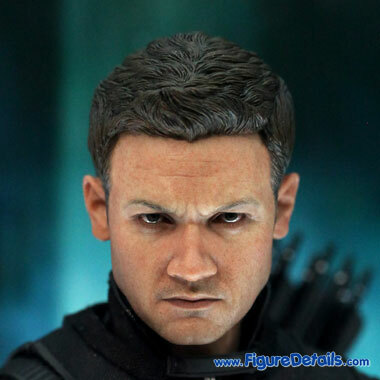 - Movie-accurate Hawkeye facial features with detailed wrinkles and skin texture. 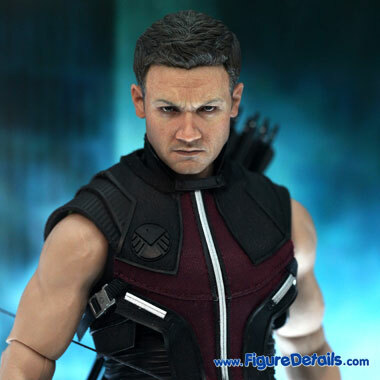 - Sixteen (16) arrows and eleven (11) arrowheads of different styles with quiver. 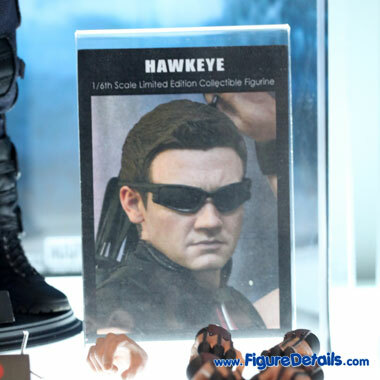 Here I show you the photos of Hawkeye Limited Edition Action Figure that is now displaying in the Hot Toys store. 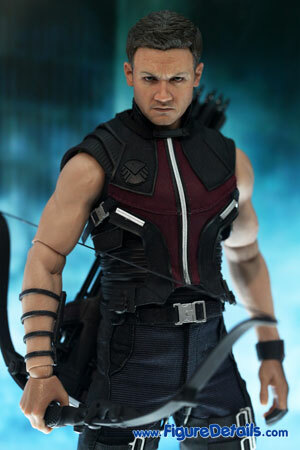 Hot Toys Hawkeye is the second action figure from movie The Avengers. 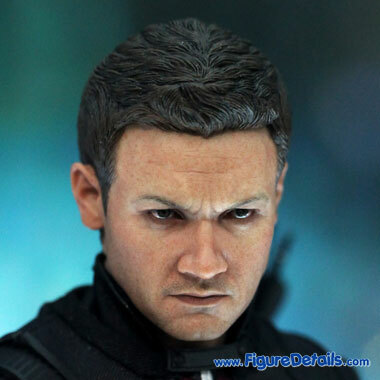 Very nice Jeremy Renner head sculpt. Well fit costume . 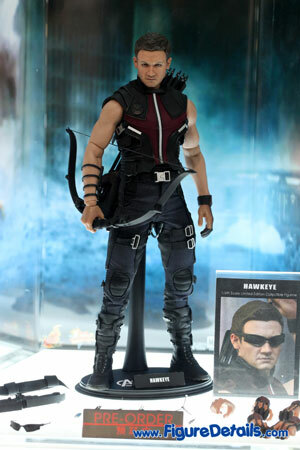 I love the bow and arrows. 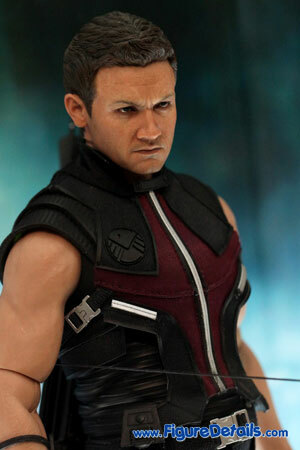 If you like the movie The Avengers, you must collect one.